NEW YORK -- A 'superbug' fungus is emerging as a new menace in U.S. hospitals, mostly in New York and New Jersey. The fungus called Candida auris is a harmful form of yeast. Scientists say it can be hard to identify with standard lab tests. U.S. health officials sounded alarms last year because two of the three kinds of commonly used antifungal drugs have little effect. "It's acting like a superbug" bacteria, said Dr. Paige Armstrong of the Centers for Disease Control and Prevention. Most vulnerable are fragile hospital patients - particularly newborns and the elderly. It tends to be diagnosed in patients after they've been in hospitals for several weeks. The fungus can infect wounds, ears and the bloodstream. A study presented at a CDC conference this week detailed how researchers traveled to South America to help investigate an outbreak in three Colombia cities. 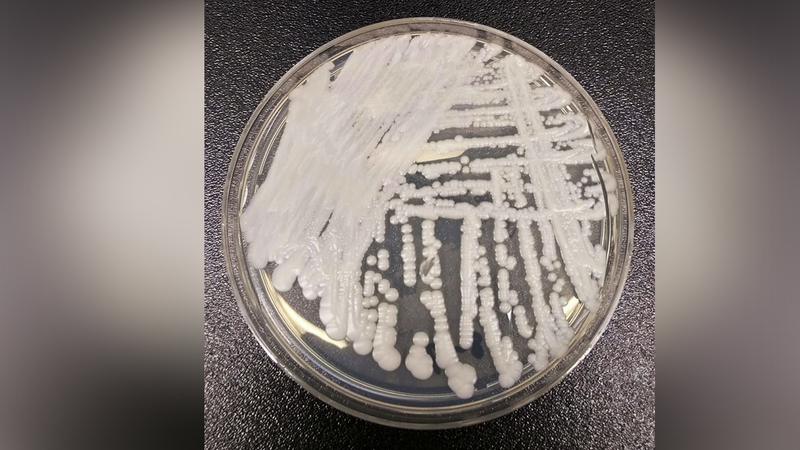 They found the fungus on surfaces in hospital rooms and on the skin of nurses and patients - even after patients were treated with antifungal medications. On Tuesday, state health officials provided new details about the 44 cases in New York. Aside from one case in Rochester, all were in New York City, at 15 hospitals and a doctor's office. No site has had more than six cases. Seventeen New York patients died, but state officials said everyone infected had other illnesses and the fungus was not necessarily the cause of death. New Jersey has had 15 cases, Illinois, 4, and there's been one case in Indiana, Maryland and Massachusetts, according to the CDC.